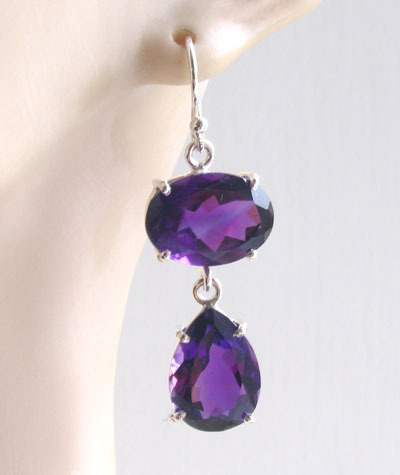 These sensational earrings fasten into your ear with a ball shepherd's hook fastener. 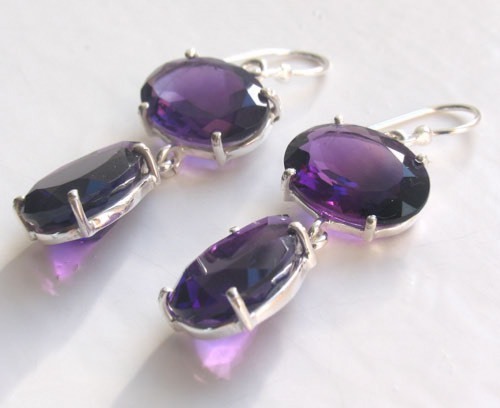 The amethysts are large, diamond cut stones. 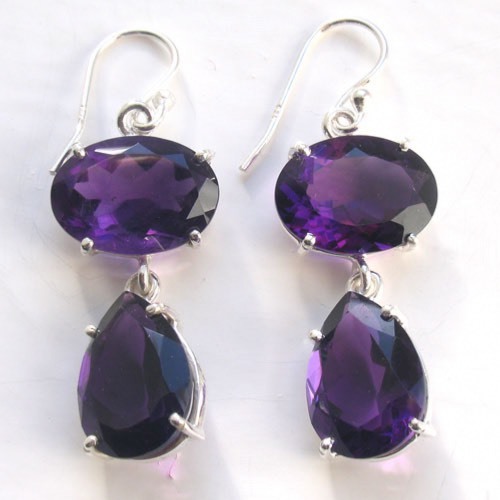 They are deep purple and dangle from the hooks - they glitter as they catch the light. 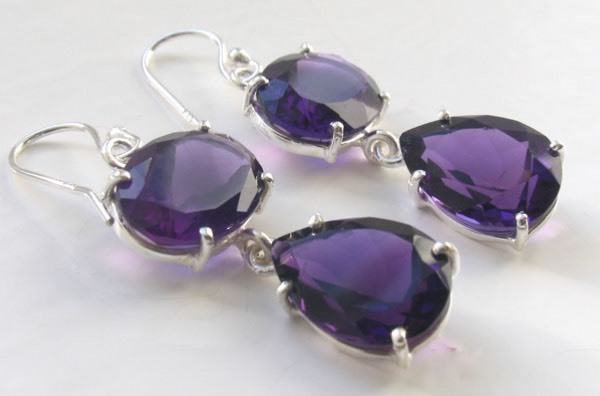 They are claw set in sterling silver. 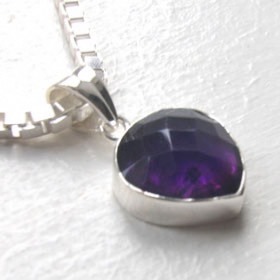 and open at the back to allow light into the stones. 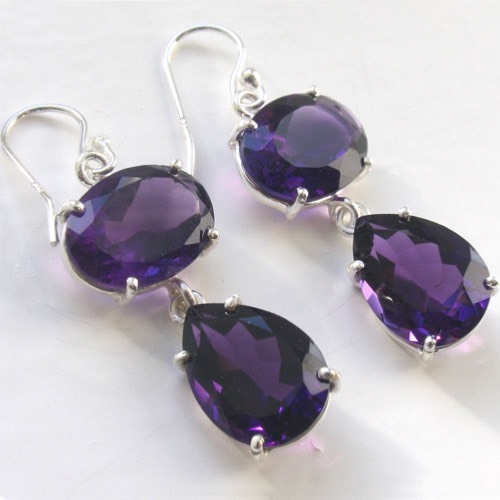 The gemstones are flawless and sparkle from every angle. 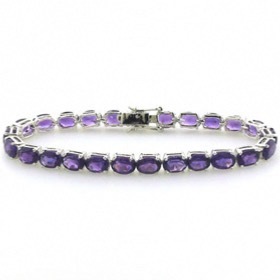 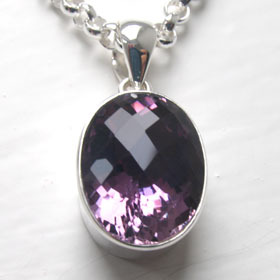 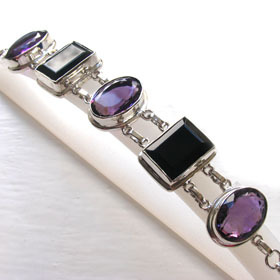 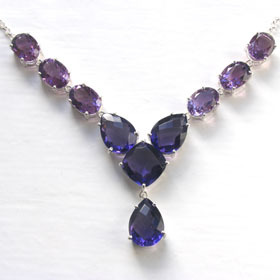 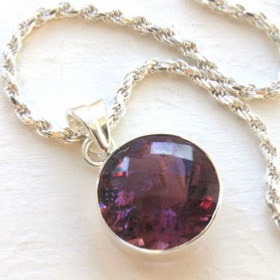 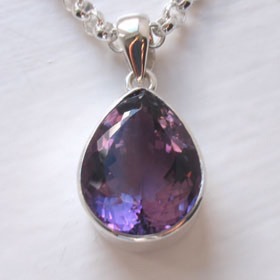 See our amethyst necklace, Lettie for a matching set. 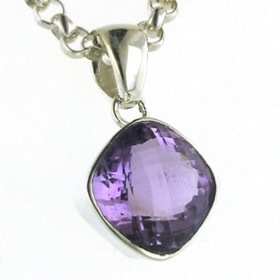 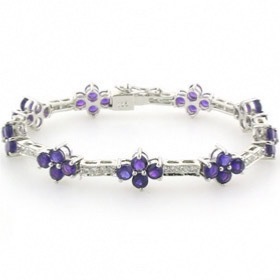 Explore our entire amethyst jewellery collection.